Ah. So sorry for the hiatus! It’s not that I haven’t been cooking but I have been so busy that today is the first day I’ve had a chance to upload any photos to our computer. This past week with the holiday and celebrating Matt’s birthday hasn’t left me with much free time at all. The good news though is that for the holiday and Matt’s birthday I came up with some delicious treats and meals that I can’t wait to share. Tonight we are packing up to spend the weekend in Maine with my family–so hopefully I’ll have a little time to update you all on all things delicious from Maine that we eat. 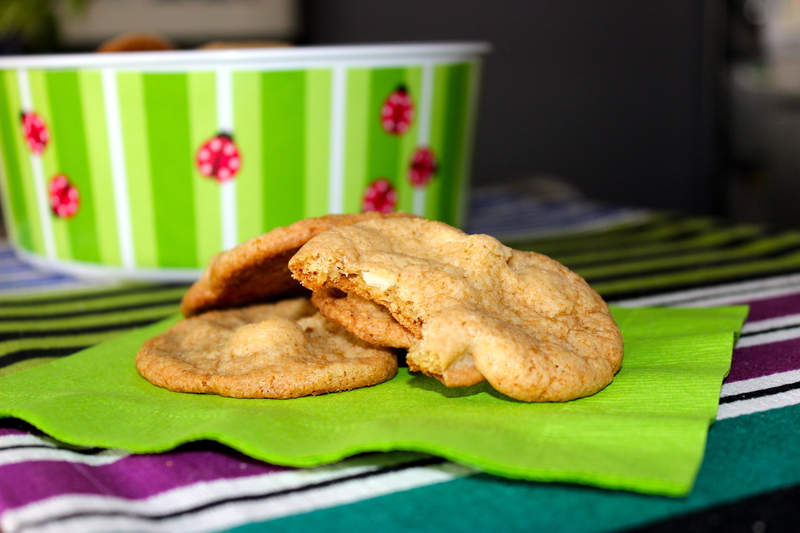 Anyway, enough with the catchup and onto one of my favorite cookie recipes. Matt isn’t a big fan of birthday cake so I spoiled him with two non-cake desserts for his birthday. 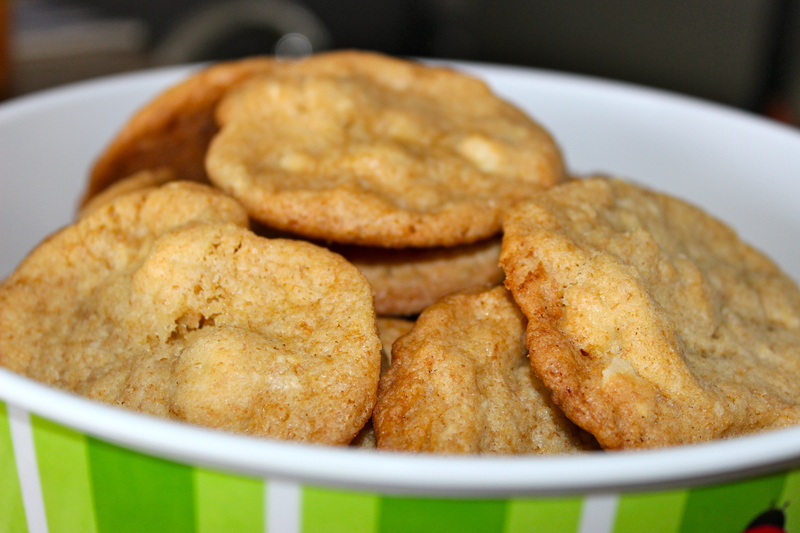 One being white chocolate macadamia nut cookies–also known as crack cookies in our house because they are so addictive and another treat that you’ll have to wait and see. I will tell you though that the other dessert is a fall favorite and is as equally as addictive as these cookies. Beware! I usually only bake Meringues around the Holidays, but for whatever reason I was having a severe craving for the sweet yet crispy combination. 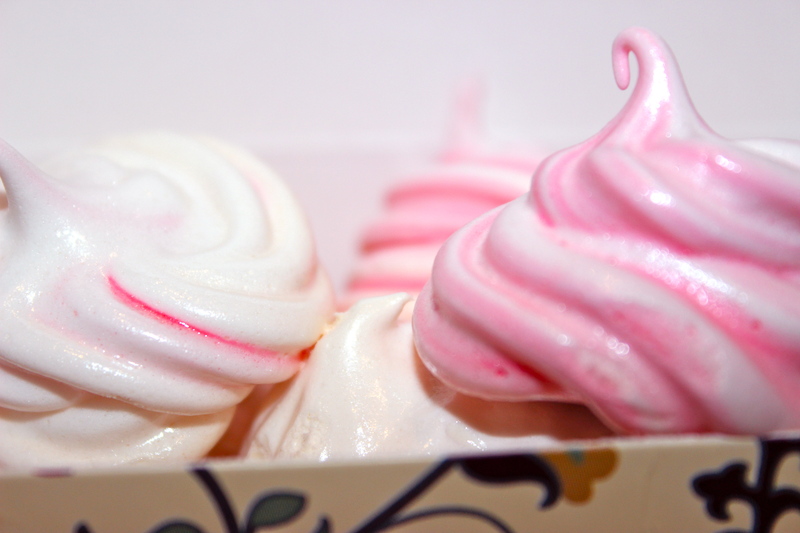 I know a lot of people find meringues daunting and are afraid to give them a shot–but don’t be! 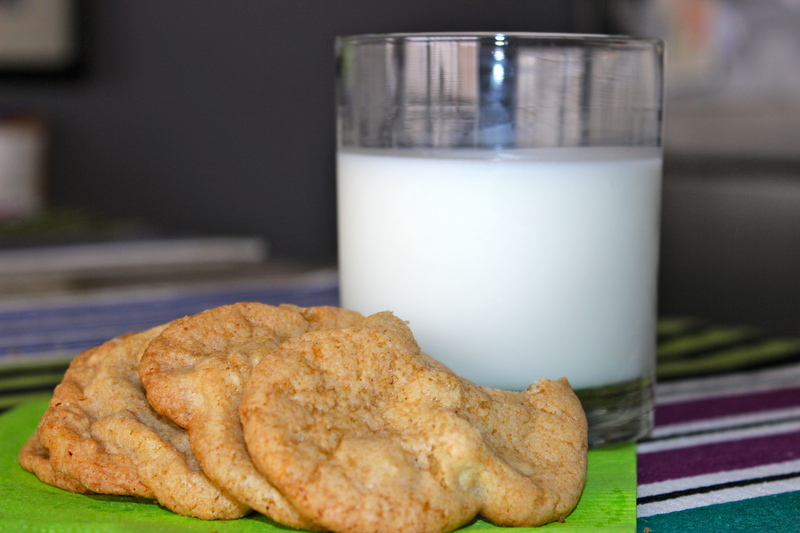 They really are easy to make and not to mention much fewer in calories compared to other cookies. This particular recipe precooks the egg whites and sugar (something I had never heard of!) for fool proof cookies. So if you were afraid in the past, fear no more! These will turn out great. These cookies only take a few ingredients and need a couple of hours to bake in the oven. 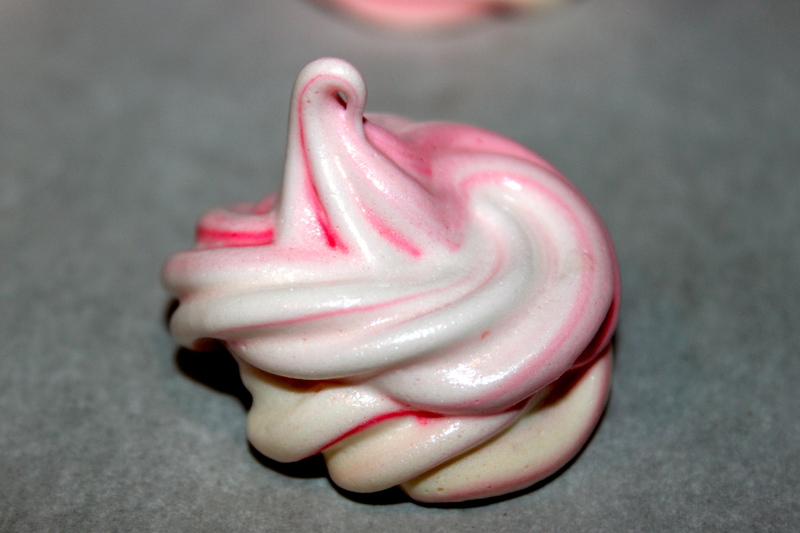 I tried a new recipe because I wanted to incorporate raspberry extract into the cookie creation and found these to be my favorite meringue recipe yet. A piping bag makes these cookies super easy to make but if you don’t have a piping bag you can always cut a corner off a freezer bag (I’ve done this in the past & it works just as great!). 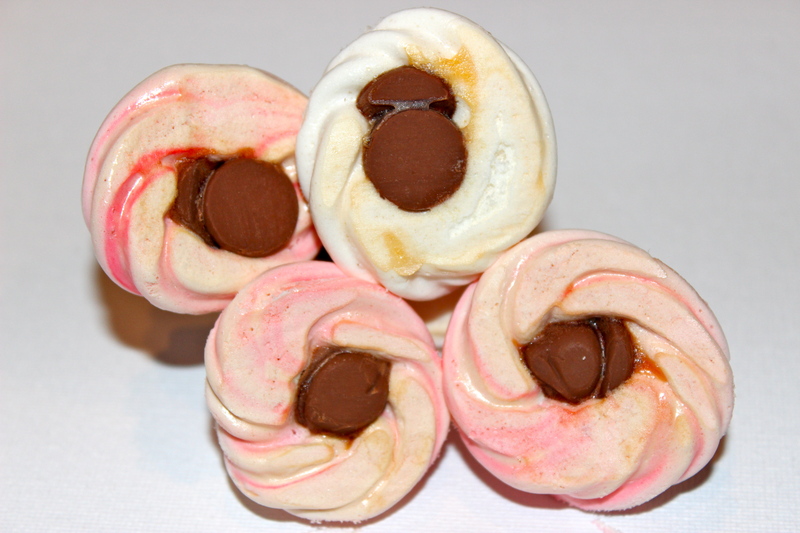 If you’ve never tried meringue cookies you are in for a treat! They are super light and crunchy. My husband can’t get enough of them today because he thinks they taste like cotton candy! Plus they have a sweet chocolate surprise in them. Enjoy! 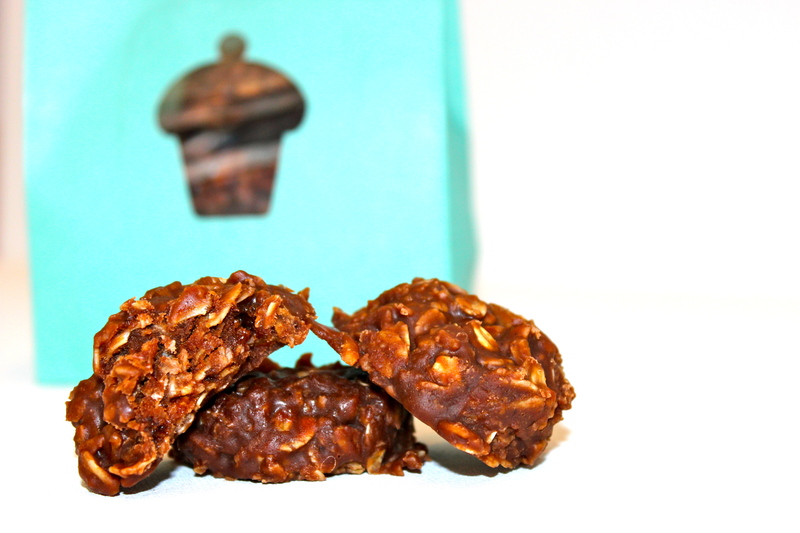 No bake cookies may be one of my favorite easy treats to whip up in the summer. My husband, Matt, also adores them. He fondly reflects on them because they were also a go to treat his Mom made throughout his childhood. 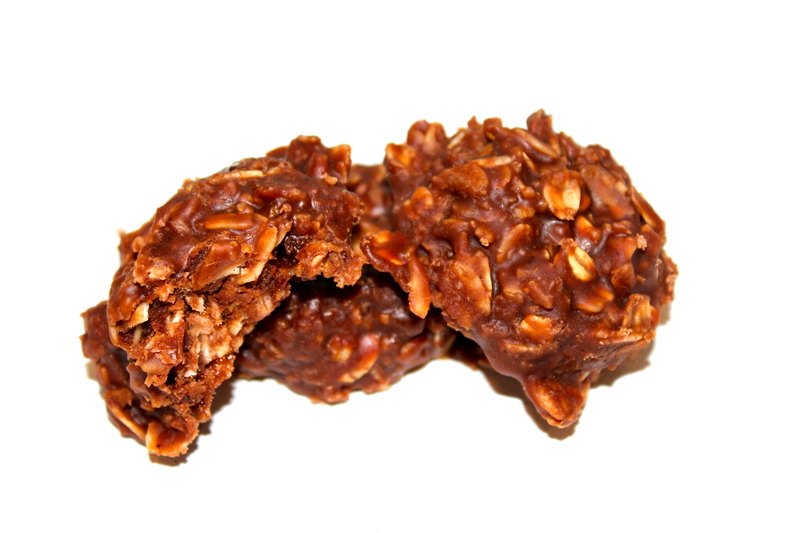 Something about no bake cookies must be nostalgic because I remember the first time I ever made and tasted them. I was about 11 years old and was spending the night at my friend Katie’s house. 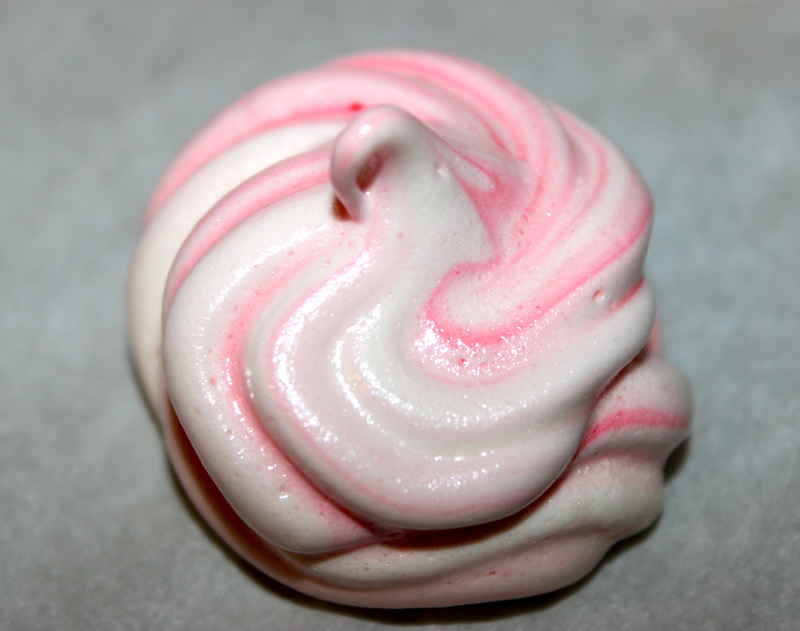 Ours definitely didn’t turn out all the same shapes and sizes but I do remember them tasting really, really good. I used to sleep over her house all of the time and between jumping on the trampoline or swimming in the pool we somehow found ourselves in her Mother’s kitchen. It is fun to reminisce on learning my way around the kitchen. 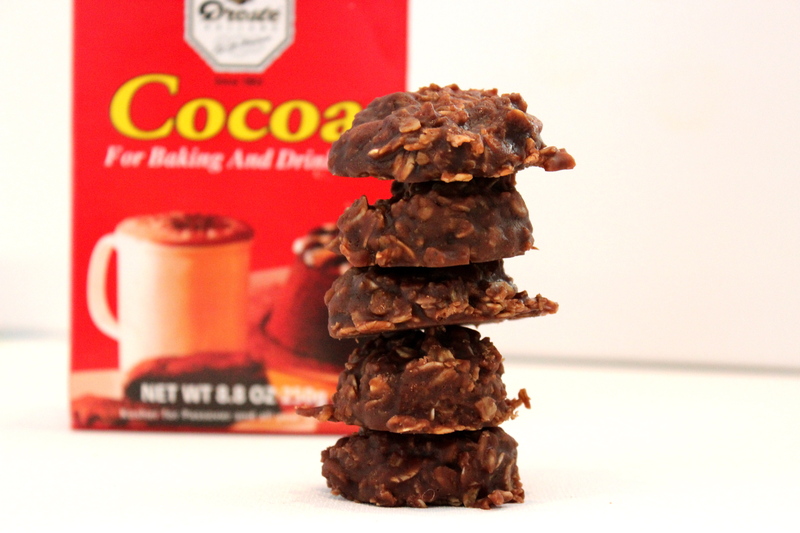 I know a lot of people stay away from no bake cookies because they have had experiences with the cookies not setting up properly. Have no fear with this recipe! I’ve been using the same recipe for about 5 years and I have worked out all the kinks. So I encourage you to give them another try. Your satisfied stomaches will thank you!